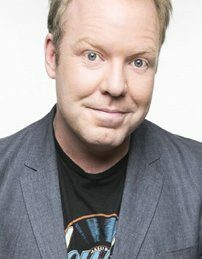 Peter Helliar has been one of Australia’s favourite comedians since his first appearance on our TV screens as a core cast member on the Logie Award winning Rove back in 1999. Pete has performed stand up for years, selling out shows right across the country, where he makes “the difficult business of being funny look dead easy”. Now the Gold Logie Nominee makes Australian’s laugh from his seat on The Project four nights a week, as well as hosting brand new quiz show CRAM for Network TEN. A man of many talents, Peter created and co-produced the award winning It’s A Date ABC TV series, in which he also made his television directorial debut. Best-selling children’s author was also added to his impressive list of credits when he released his first ever kids book Frankie Fish – the third book in this series is set for release in October 2018.